Here's some more stuff from the archives. I'll likely keep adding stuff to this thread with all the smaller items. Enjoy. 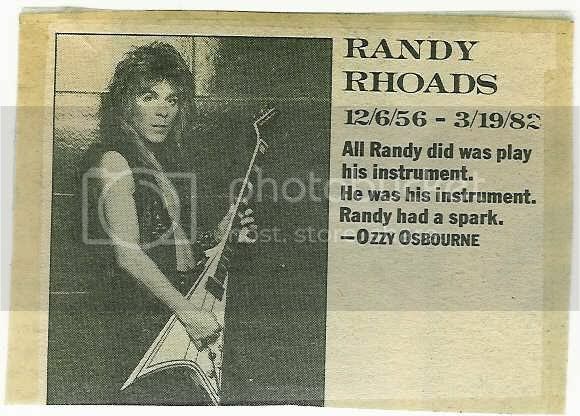 I believe this was from Rolling Stone in a feature showing who passed away in 1982. 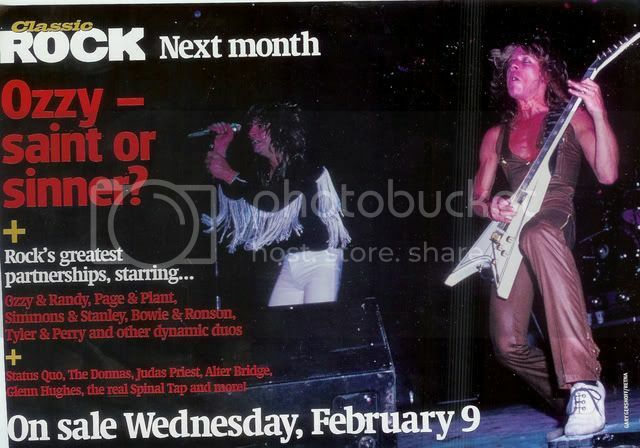 From a magazine called Rock Scene, if I recall right. 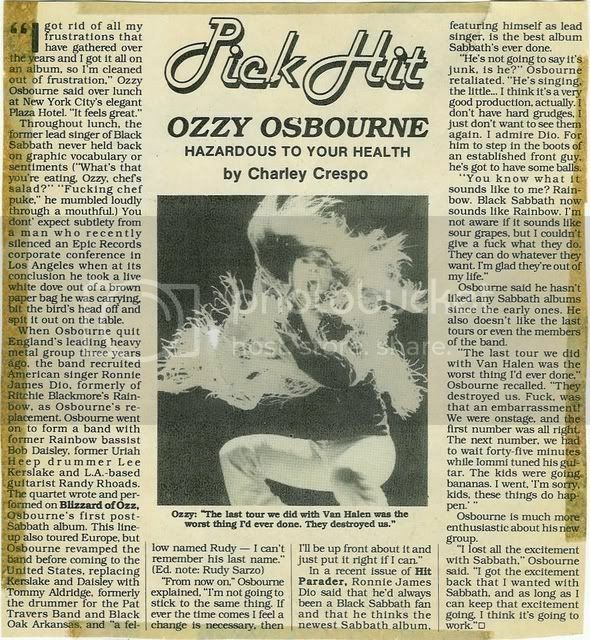 The first clip is from an Ozzy interview in Record Review magazine in 1983. 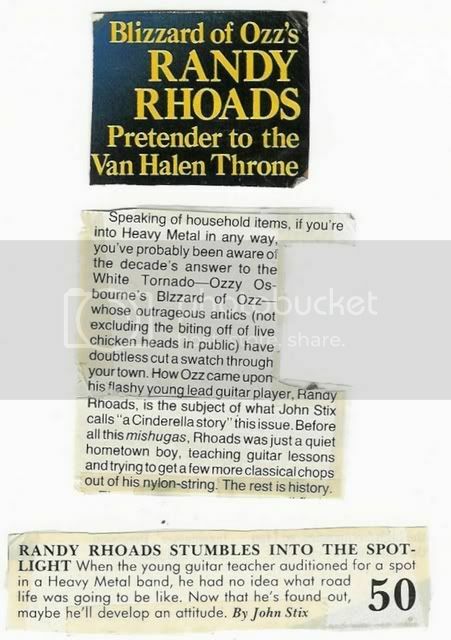 The second is a letter in Hit Parader. 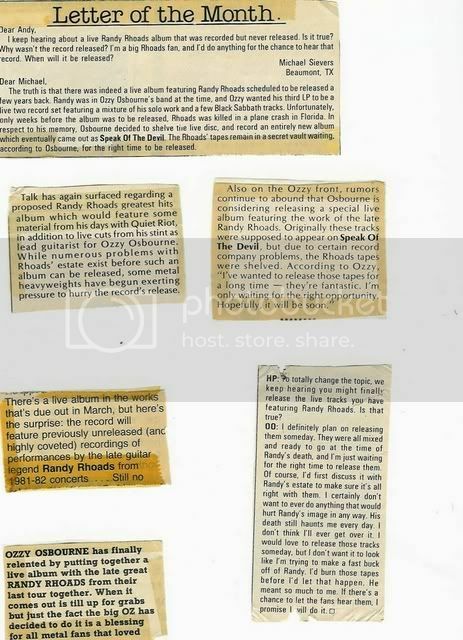 First one is a letter to Circus magazine from a lucky guy who had just seen Randy live in 81, next is an announcement in Record Review regarding the forthcoming Diary tour and last is another letter from Hit Parader. 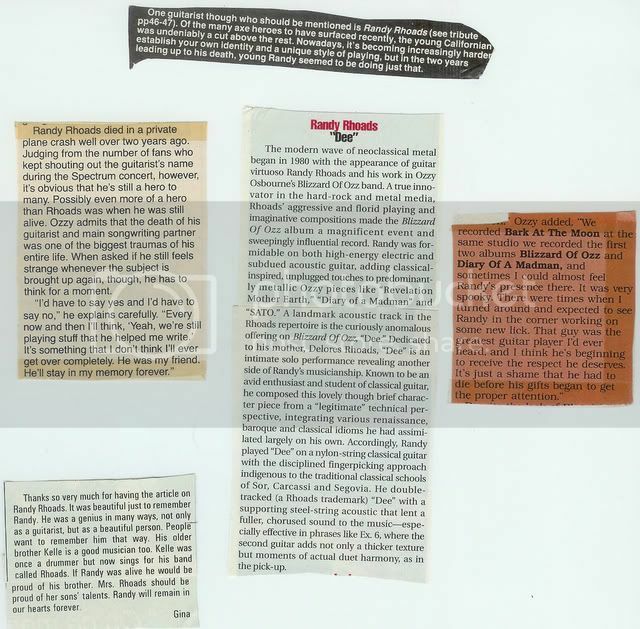 Clippings from Circus, Hit Parader and GW in 83, 84. 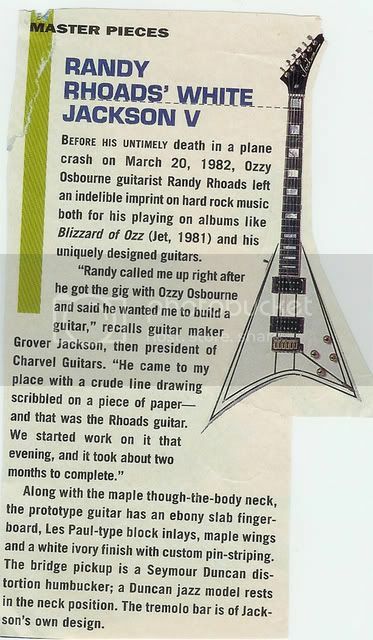 The GW clippings talk about how Randy's gravesite had been vandalized at the time. 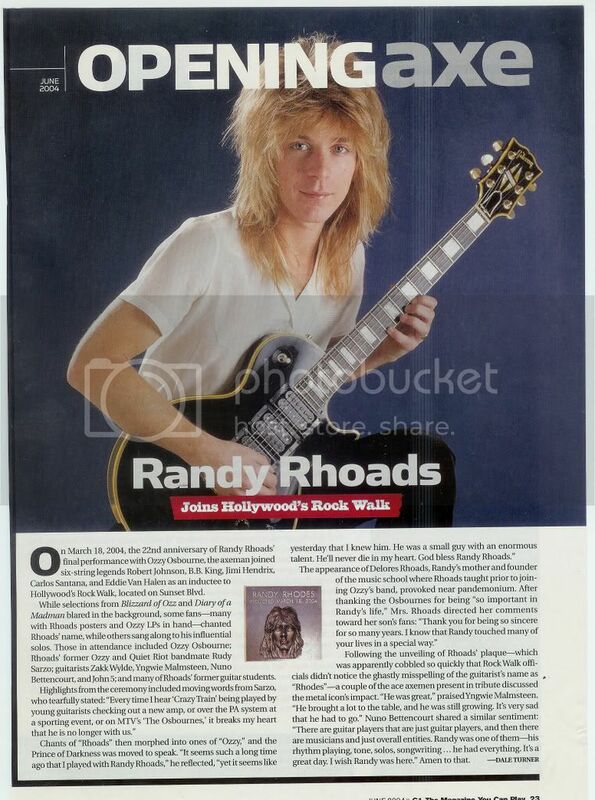 Also the issue had a two-page poster of Randy's black and white Jacksons. 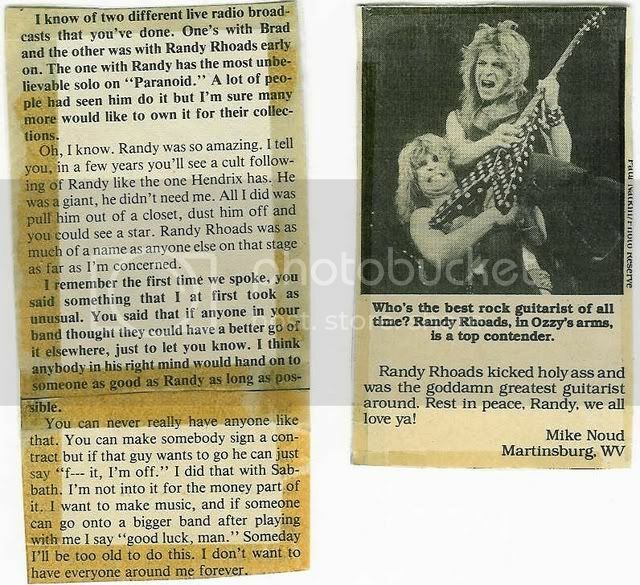 These are clippings from the 1982 issue of Guitar World with the Randy interview, that hit the stands about a week before he died. 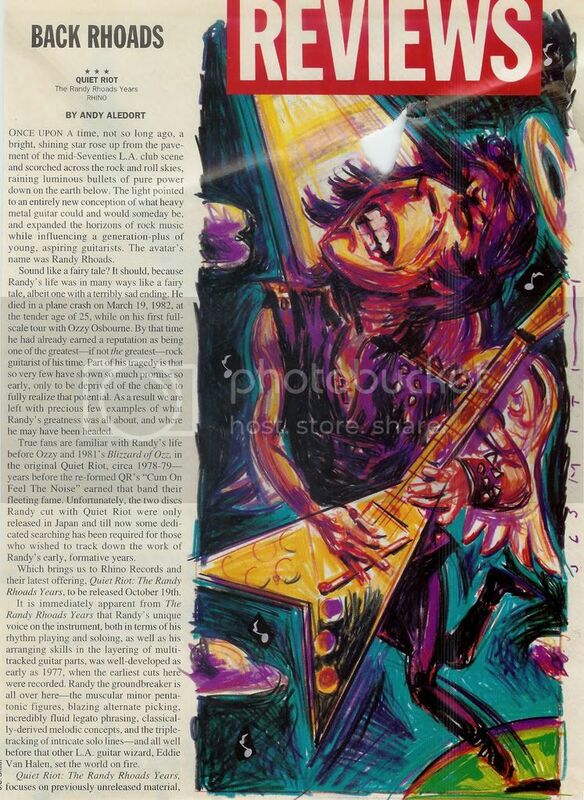 Adrian Belew was on the cover. Here's the cover text, a mention in the editors page and the text from the table of contents for that issue. Thanks again for sharing with us Iron. Thats AWESOME Iron - I remember reading some of those clipppings, thanks for the flashback! Is there no end to 'Schniz's kindness?! Thanks Iron! Yep our very own Iron continues to amaze and impress up!!! 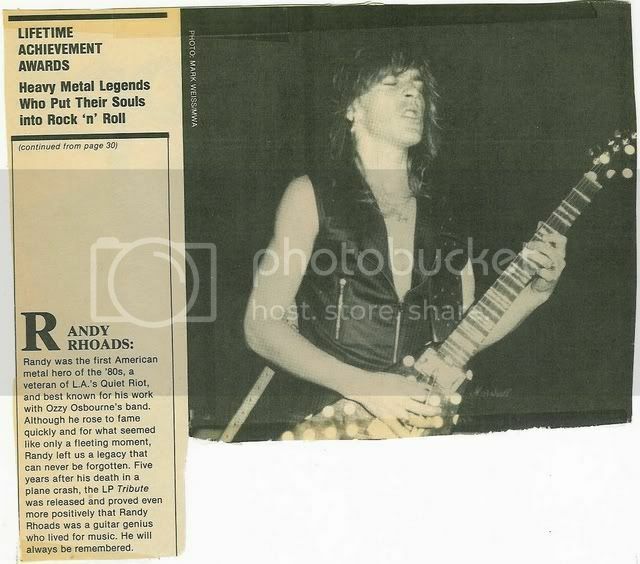 that first one i had taped on my refrigerator for years....good seeing that stuff again. 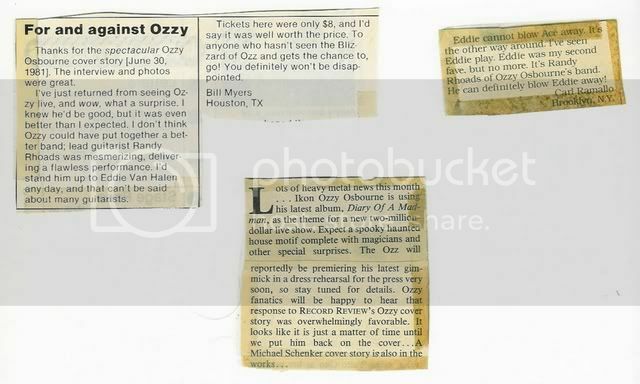 "You will find that I am kind"
WOW 8 BUCKS for tickets back then!?!? jeez too bad i was only 1 year old!! 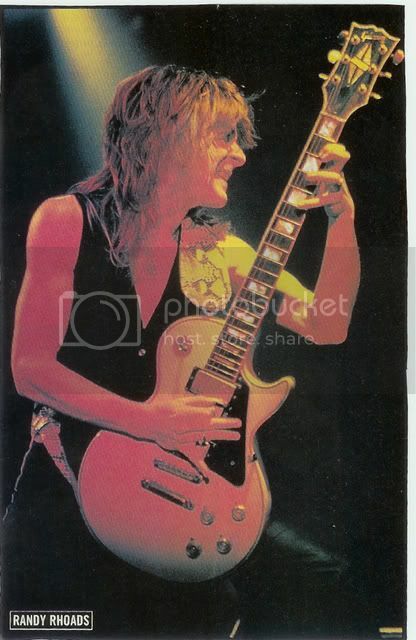 part of Suicide Solution, or at least I think so, because he's holding the whammy for the pinch harmonic.. and his fret hand is in the right place..
Wow that second pic is pretty rare, ive never seen it. Ill have to go dig some of my old stuff up too for this thread. Thanks for sharing. Some clips regarding "Tribute" before it was put together and as it was announced it would be coming out. 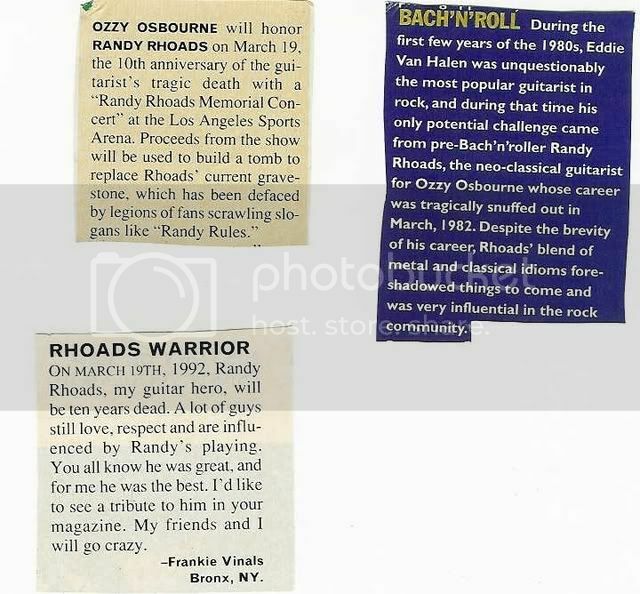 This is a small article, I think from Guitar One, covering Randy's induction at the Rock Walk in Hollywood in 2004. 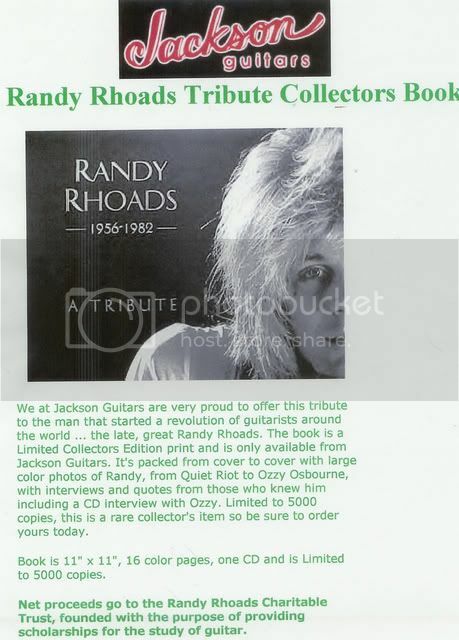 Here's an advertisement for the Jackson tribute book to Randy some years back. 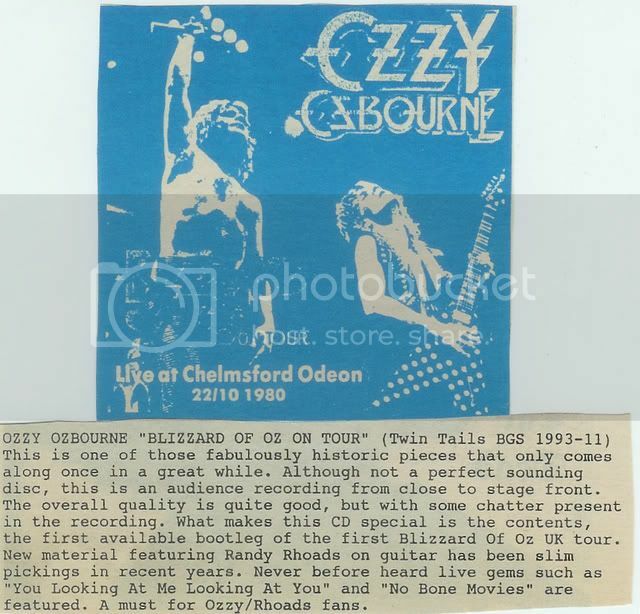 Here's a review from a bootleg publication covering the 10-22-80 gig at Chelmsford Odeon. 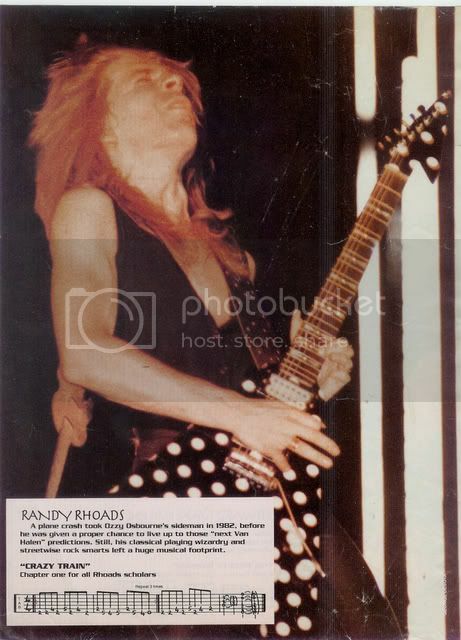 Here's a picture of Delores from the first Randy benefit concert in LA. Note her watch has a picture of Randy on it from the Day On The Green. Wow! Great batch-o-clippings Iron! Thanks! 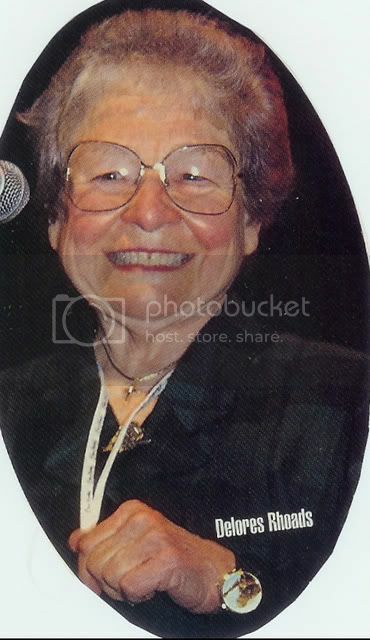 Wow, I seen the resemblance in that picture of Dolores there. Great stuff Iron. Here's a few more things, some common, some not so much. 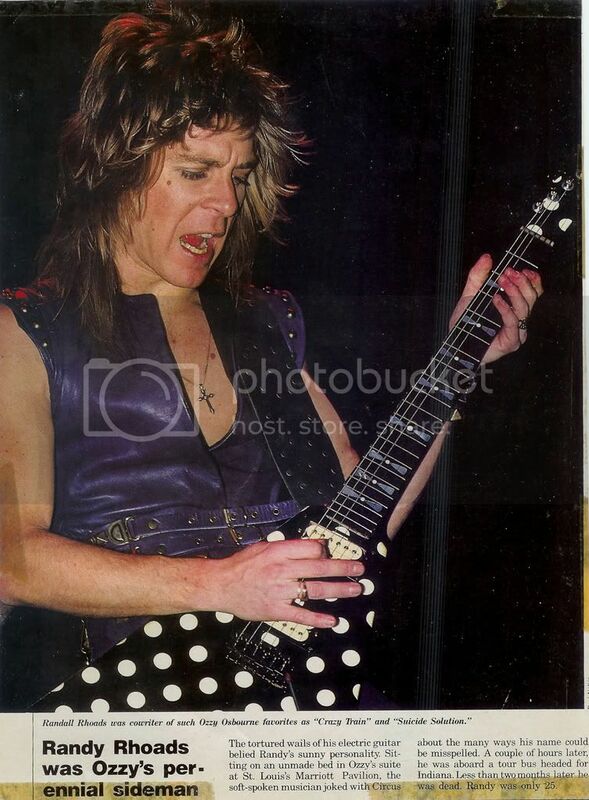 This picture was taken in John Livzey's studio a few years before John did Randy's last photo session. Dan Raebe took this shot. 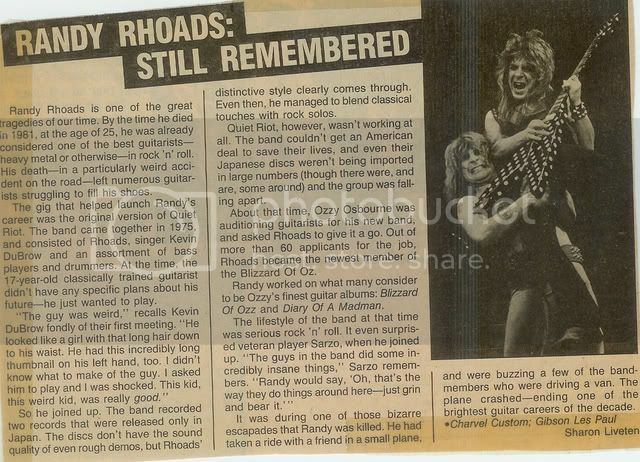 This was in the 1987 GW tribute to Randy issue. This less-seen shot from the same session. Was on the cover for a bootleg CD awhile back. 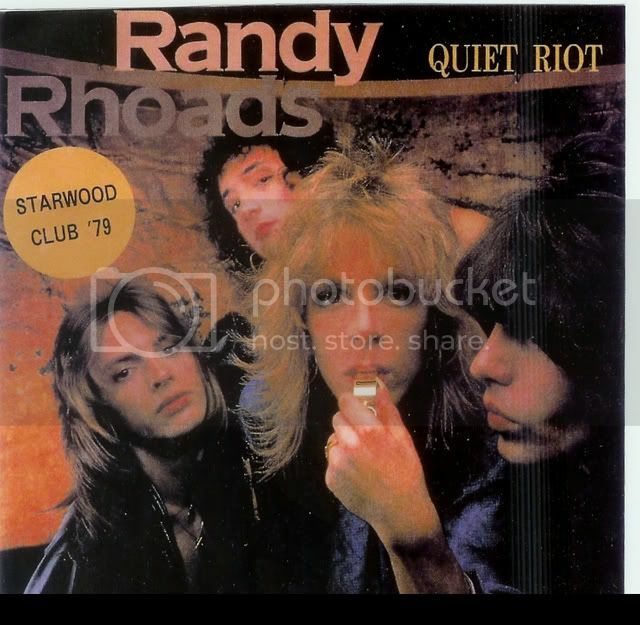 I think in the video interview of one of Randy's students on youtube he mentions Quiet Riot dressing up like women backstage at the show they opened for Van Halen. Here's a shot of that. There's also a little bit of video of this floating around. 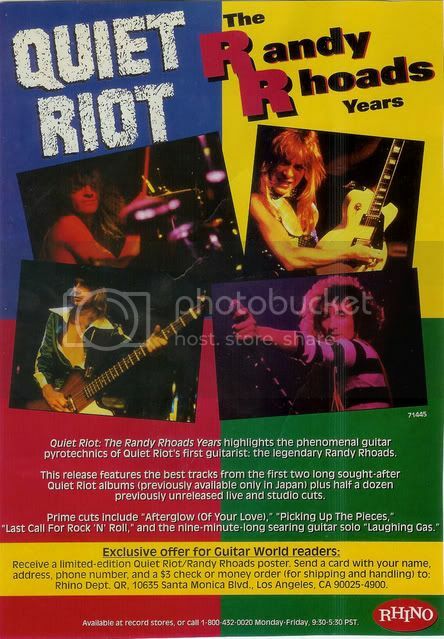 This was on from the Quiet Riot II Japaneese import sleeve. 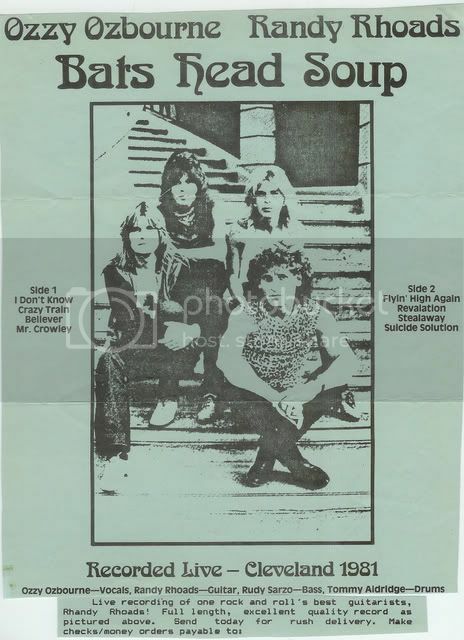 Little thing from Circus magazine. 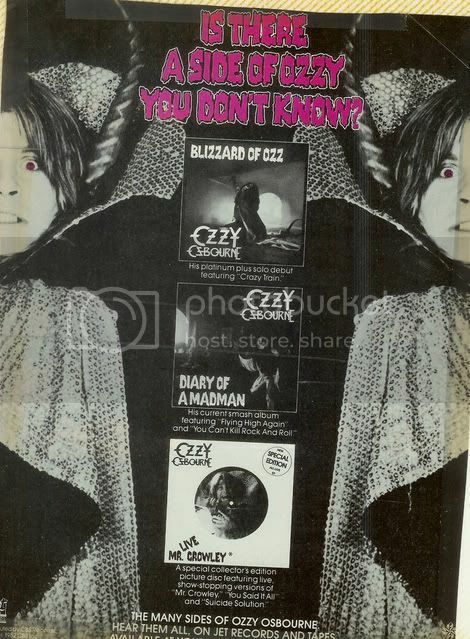 Advertisement of the 2 Ozzy LPs and live EP from Circus magazine-1982. wow. a benevolent dictator no less. great stuff. 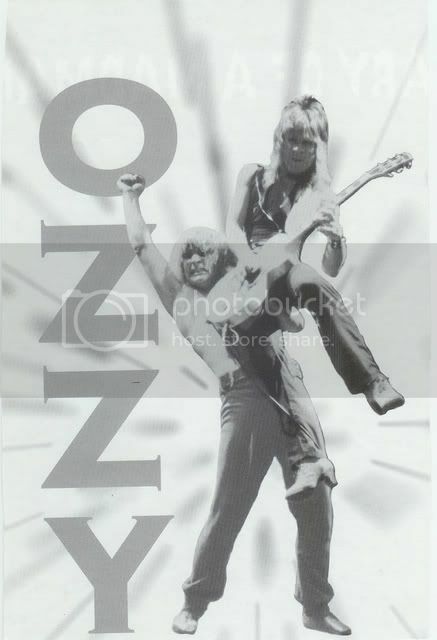 Love this great, rarely seen shot. 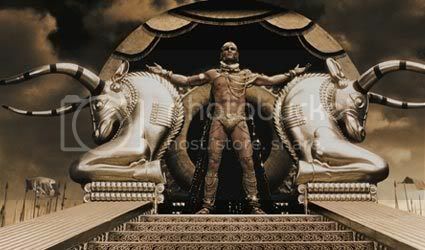 Great stuff once again Iron! That first pic has GOT to be a poster if not, it would definatly make a good one. I was never too fond of that last shot. It just didn't look right to me. it's really interesting how he can look so different from photo to photo. I've always thought the same thing too. Seems like he rarely ever looks the same in 2 pictures! 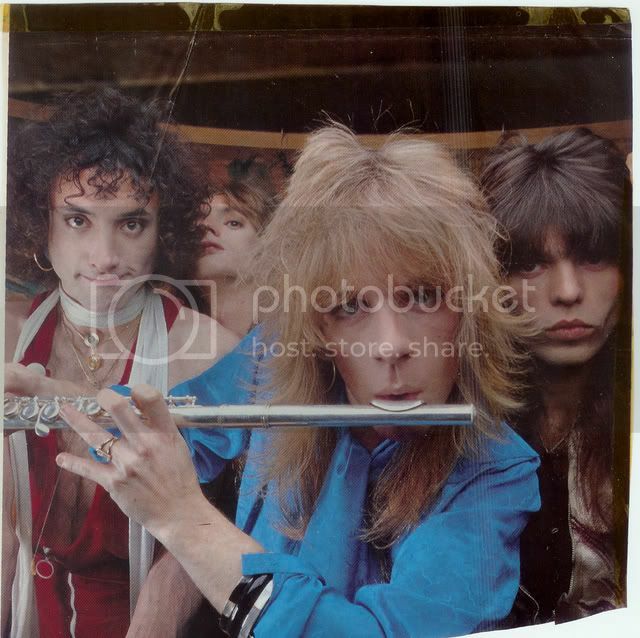 That shot was from one of the (if not the) first, band photo sessions in 1981 after Rudy and Tommy joined up. Jeffery Mayer took the pictures. 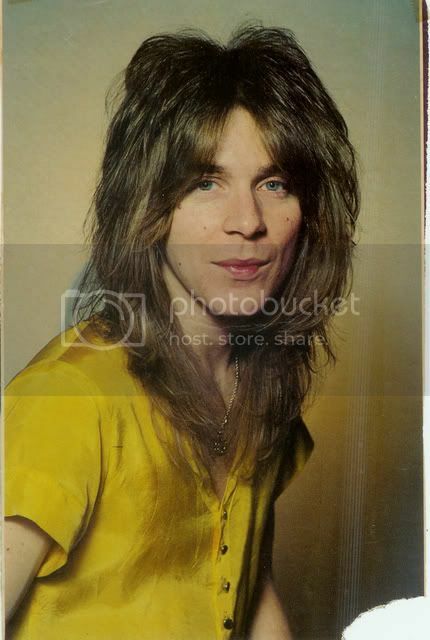 There was a Jet promotional picture going around of the band and a few shots of Randy alone in that yellow shirt and his hair looks a little more brown than usual. There are also shots from a band rehearsal that day and I think this photo I posted and the session band shots were taken after the rehearsal. Maybe that is why the guys looked a little like they had just been sweating or just woken up. Damn! Look at the blisters on Randy's fingures.